Gifted Workshops is directed by an award winning artist with over 25 years of DJ and music production experience. All Gifted’s artists and musicians have high levels of real life industry experience. Gifted Workshops is an organisation that provides creative arts activities as a means to connect with children and young people. Gifted aims to raise the aspirations of all children and young people who attend our workshops by delivering in a fun, enjoyable and motivational environment. During a DJ workshop Gifted promote and use CDJ (latest CD mixing technology), Vinyl turntables (turntablist scratching), MP3 technology, graphics packages, Apple Mac’s and music production software. 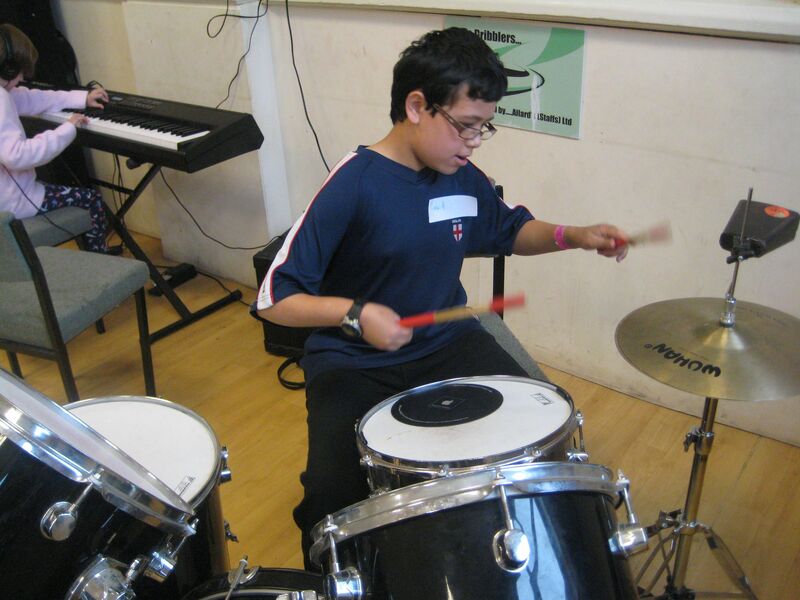 The workshops will give disabled children an opportunity to explore their creative talent via the medium of music and imagery production. 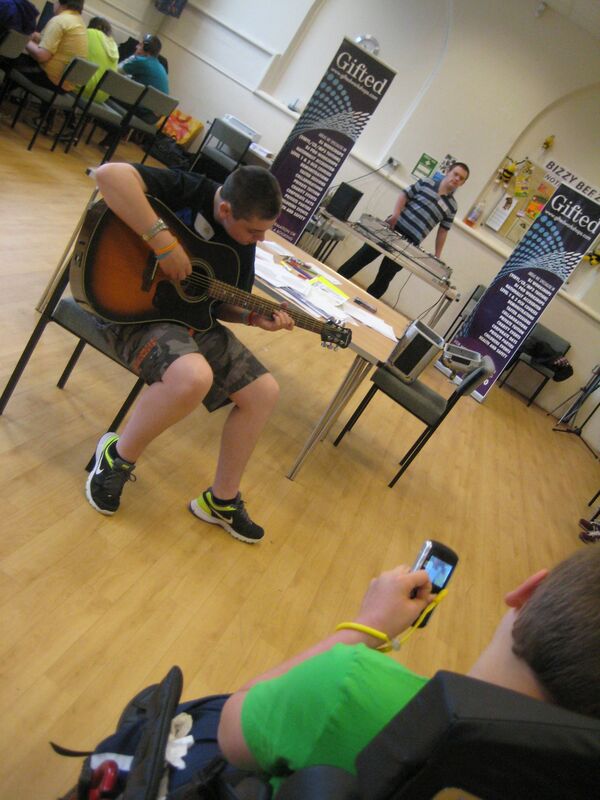 Using contemporary mediums has enabled Gifted to successfully engage particularly with children and young people with disabilities, young people not in employment, education or training and Primary Care Trusts. 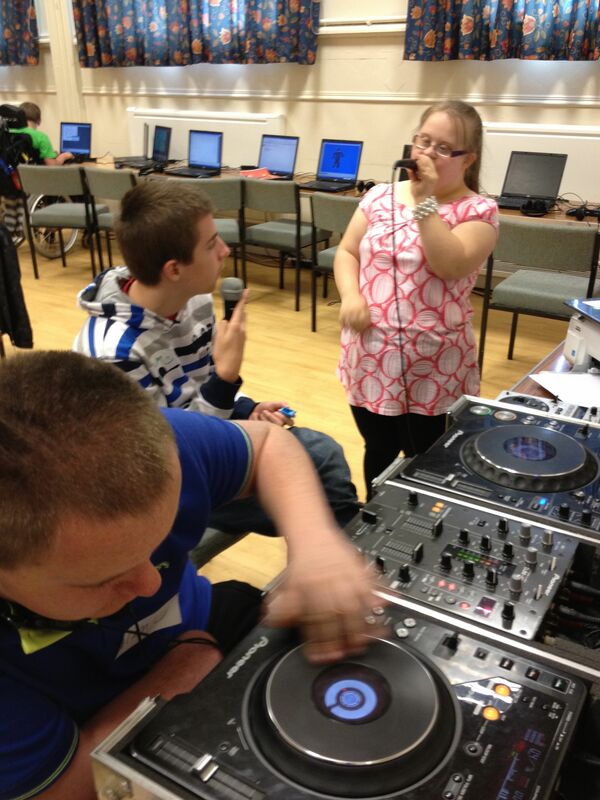 The workshops will ensure that all attendees have an enjoyable experience which will develop their confidence, independence, personal and social development. 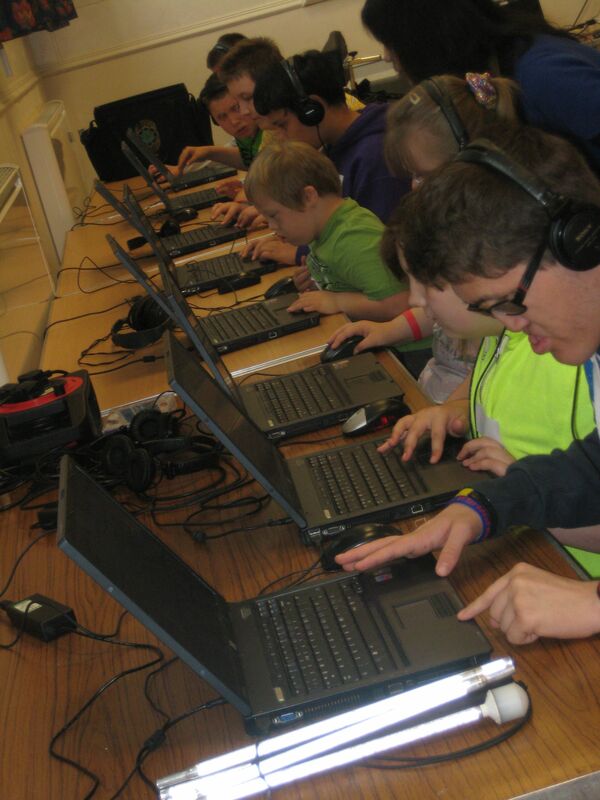 Gifted is also member of the ‘Newcastle Disability and Arts Development Group’ who regularly meet and discuss how to make provision more equal for children and young people with a disability. 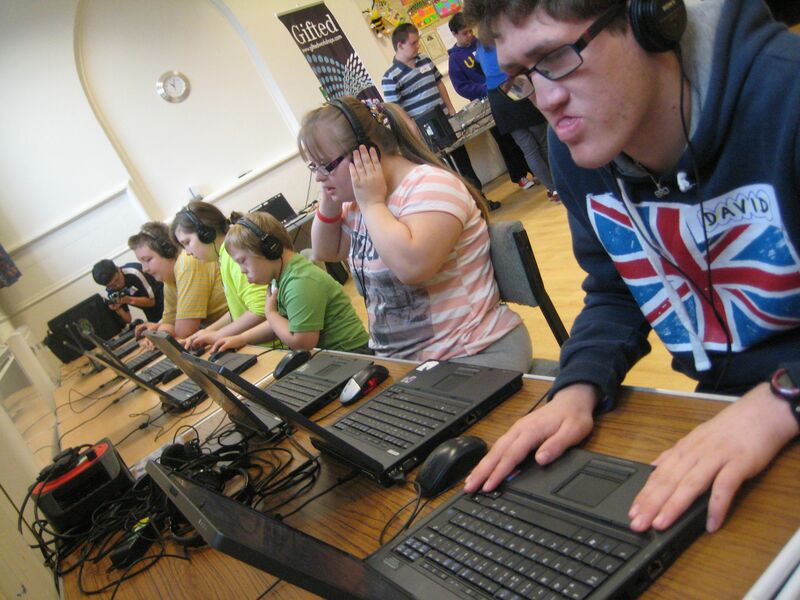 Gifted have recently delivered an amazingly successful multimedia summer provision that was funded by Staffordshire County Council and Aiming High. The provision was delivered as a short break service aimed at disabled children their siblings and families. Gifted delivered DJ ing, Art, Film, Drumming, Guitar, Electric Guitar, Singing, Creative song writing, MCing, Rapping and some funky dancing over a period of 5 weeks. In total 15 full day workshops were delivered and over 100 limited edition vinyl certificates were presented to everyone who took part and delivered a presentation in the showcase at the end of every day. Gifted would like to thank everyone who took part including all the families and carers for their kind support, the venue – Cornerstone, all the catering staff, Staffordshire County Council, G8Way (Scott), all at Aiming High, the funky artists for delivering a perfect piece of history and last but not least the young people and children who without whom none of the above would have happened. Many dreams have been fulfilled and new friendships formed….Look out Summer 2013. LB found mixing with other children in any setting very difficult, also loud noises and big crowds, so LB was not able to socialise as often as we would have liked. LB would not attend music lessons at school and would not even go in the room. Gifted workshop had visited Tri alpha in Chesterton on an evening when LB was attending the club and the staff said LB had joined in the activity and really seemed to enjoy it. We spoke to our social worker and was introduced to G8 way who visited our home and made our family feel secure that LB’s individual needs would be met with each G8 way activity. G8 way signposted LB’s family towards a Gifted Summer Media Provision which was being funded by Aiming High and Staffordshire County Council. LB attended the Gifted Media Workshops frequently during the summer. We feel that Gifted Workshops (Daf and team) had patience and understanding with each child as an individual and with their special needs. LB would ask on getting up in the morning excited to go and at the end of each session LB and the other children put on a show for the children, young people, other parents, carers and social workers which LB would never have done before attending a Gifted Workshop. Each child was presented with an award, which LB loved and we could see by his whole attitude that he benefited greatly from the sessions. Since the workshops, LB has started to pick up his guitar that we bought a year ago and attempted to play, looked on the computer to see other people play music of all kinds and we have also attended a few music shows. As a family we have all benefited as LB now seems to be calmer and more sociable when we take part in musical activities, which as a family we all like. LB’s name will be the first down on the list when new workshops and courses are available with Gifted Workshops.